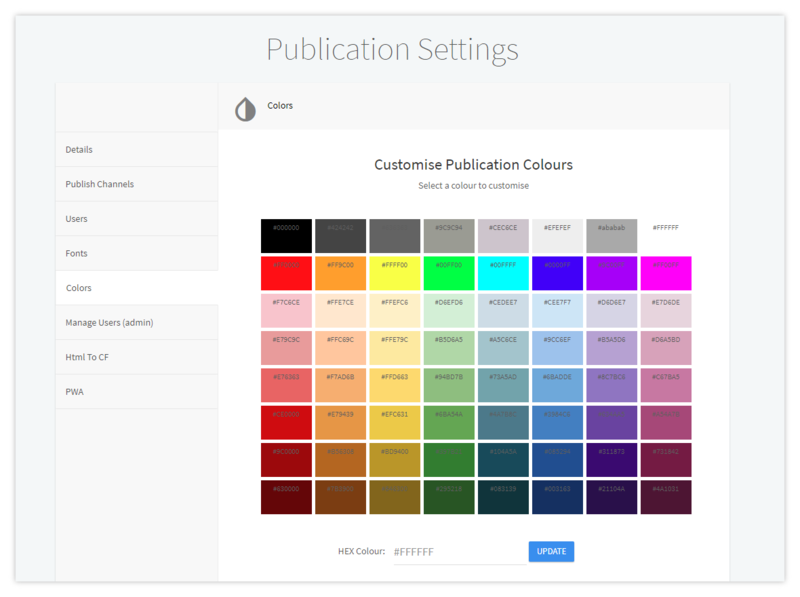 To allow adherence to brand guidelines, Canvasflow provides the option to customise the colour palette used for text formatting. Select one of the colour blocks and using the HEX Colour menu beneath, enter the HEX value of the colour you wish to add. 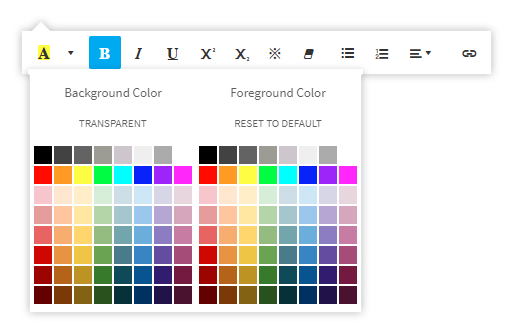 Any design program such as Photoshop or InDesign will provide a HEX value for colours, alternatively you can use HTMLColorCodes Colour Picker.